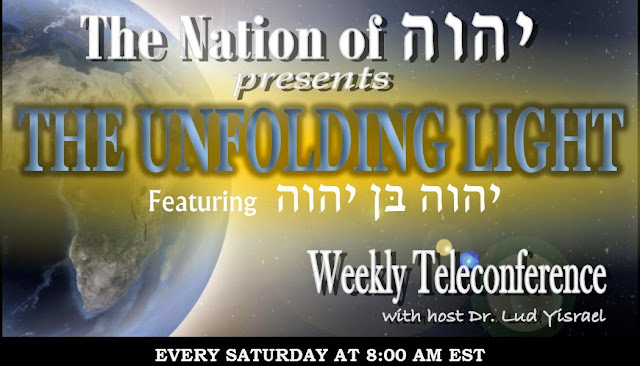 We sing the highest Praises to our Father יהוהfor another successful episode of the Unfolding Light. Today's broadcast has been made available for dial-in access. We glorify our Father יהוהfor a most blessed episode of the Unfolding Light. Today's broadcast has been made available for dial-in access. To listen to this recording by telephone please dial 1-712-432-3131 and enter Recording ID: 61542132 when prompted for it. It can also be accessed from our website at http://theunfoldinglight.blogspot.com/.